When you run marketing campaigns you can use facebook ads to drive traffic to your eshop or corporate website, so it's a good idea to install facebook pixel there. It is unique identifier number on a piece of code that you can find in your Facebook Ads account and it is easy to install it at your website. It collects data, actions from users and track ads results, it is essential when you want to improve your ecommerce business with online ads, some scenarios are the following. If somebody visited a product page or a landing page, that means that somebody already have expressed some kind of interest to make a purchase. We can run fb campaigns and show ads to users that already have visited your website pages or a certain products, in this way we can reinforce their intent to buy with ads. So you build custom audiences from the visitors your ecommerce store or create lookalike audiences from your current customer base. One possible question, how the web visitor will see the same product inside the facebook. The short is answer is we have to upload the product catalog of the eshop in facebook, this can be done easily using product feeds. 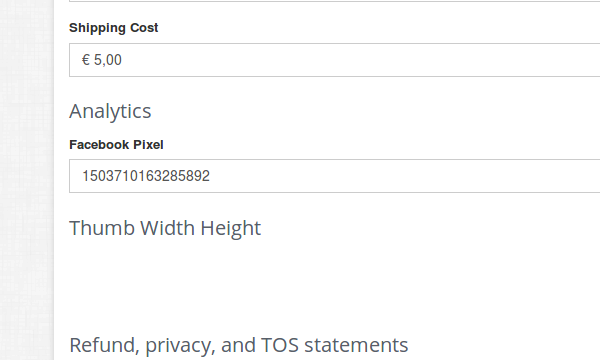 Then facebook pixel will track the product that your visited, or you added in the cart and will match the product skue with the info from product feed and will show the product ad. Custom conversions are the best way to measure your marketing funnel so to have measurable results that answer questions such as how many visitors are comming from FB ads, how many are purchasing products or services. More precise they are used to track actions in urls or add more dimensions to pixel standard events They are best for ad campaigns that are conversion oriented. Fb can track which user makes a purchase or a signup and find people with similar characteristics to serve ads. Also you can use these conversions to optimize your ads and run A/B testing an example is that it could be used to track which payment method is prefferred by online customers using standard event purchase in combination with a custom event for each payment method. Facebook pixel tracks various events from a website visitor, in the online store on the default theme of ecommerce platform some of these are already integrated also except of the standard events you create and custom. First you have to go to facebook ads manager, so login to your facebook account by following this url https://www.facebook.com/adsmanager then from main menu navigate and choose pixels. 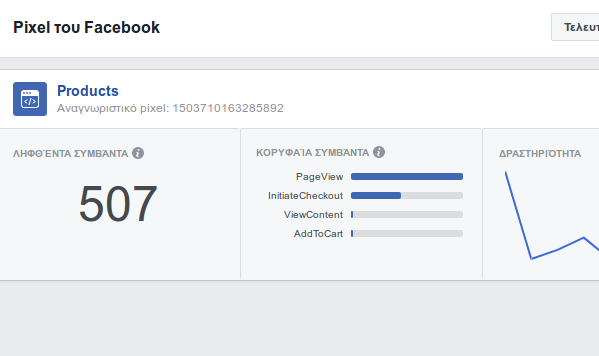 Then find your facebook pixel number and copy that and you will paste in analytics parts of the settings page in our ecommerce platform. Login to the store management panel, go to setttings page section with following steps. Your facebook pixel is now installed to the default theme as well to the other templates that you can activate to our system. Also we can install custom themes html/css upon request and will integrate immediately facebook pixel functionality with the standard events to your custom them. If you want to check that the pixel is installed properly you can you use the chrome browser with an addon that you find in Chrome Web Store and is named facebook pixel helper extension.